Welcome to a special bonus episode of the Theology Nerd Podcast with the Dr. Tripp Fuller. This is a shorter Q&A episode, where your friendly, local internet theologian answers questions submitted by you. In the past 3 years I’ve become more committed as a christian and more progressive politically. I just don’t understand the outrage cultural online among progressive Christians where we eat our own. How can we do better? 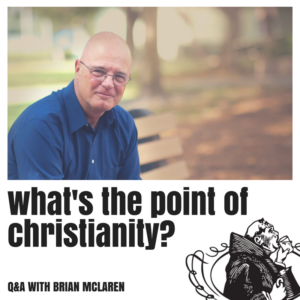 What is the point of Christianity (assuming you don’t really believe people go to hell)? Brian and Tripp discuss politics, social science, what issues are ok to be pushy on, the disease of the internet and how the desire for retweets can be destructive, salvation and how we’ve twisted it’s meaning, rediscovering the Jewish meaning of salvation, the challenge for people to move past their inherited relationship to Christianity, and the truth at the heart of the gospel.